Berlin is about to turn green again this month, when the International Green Week opens its gates and runs up its green flags. Yes, that event is greener than a ton of cucumbers. Greener than Kermit the frog. As green as it gets. And it is all about agriculture, food and gardening. 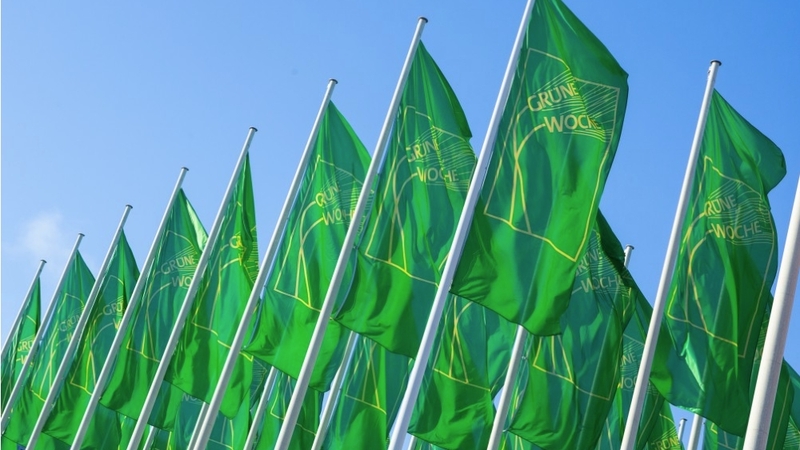 It is safe to say that the Green Week is one of the most important trade fairs of its kind, with around 400,000 visitors and 1,700 exhibitors from 65 countries. This is the 84th edition. Finland will be featured as the fair’s partner country, meaning the Finns will present a huge variety of delicious Finnish specialties. The slogan for this cooperation reads “Greetings from the Wild”. One thing is certain: Finland has a lot to present, including arctic agriculture products, cereal species which grow under subpolar conditions, and reindeer meat. There might be a lot of salmon and other fish as well. So, if you are hungry, do not read this article. VIPs seem to be hungry too. The Green Week, which takes place at Messe Berlin, is expecting as many as 200 ministers, governors, state secretaries and ambassadors who can hardly wait to get there. They could have some Tørrfisk, which is unsalted, dried fish, or other dishes too good to mention. Almost the entire federal government will be at the Green Week. The Agriculture Ministry will set up a stand in order to educate visitors regarding sustainable agriculture, while their colleagues from the Ministry for International Development intend to raise awareness on fair trade. Even the Federal Environment Agency will be there. Germany’s President Frank-Walter Steinmeier is scheduled to visit the event on January 23rd, in order to discuss the development in rural regions. At the Global Forum for Food and Agriculture, an integrated conference for agriculture ministers and other experts and decision takers, discussions about subjects like ‘Digital Agriculture’ will be held. At several meetings with fancy sounding titles, some 70 agriculture ministers will assemble. A total of 300 conferences and workshops will be taking place during the trade fair. 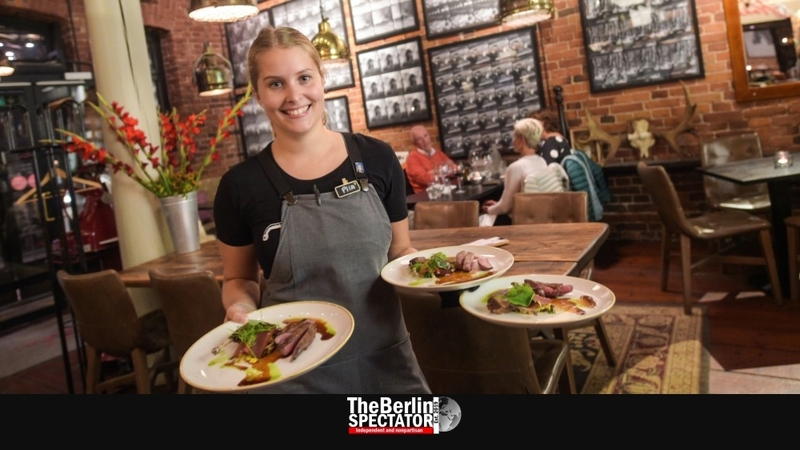 Since the Green Week is a German trade fair, German food will be on the table as well. Regional specialties from all regions will be prepared, looked at and consumed. According to the organizers, so-called superfoods will be offered as well, along with “alternative protein sources”, street food and of course food for vegetarians and vegans, the hippest of them all. In one of the fair halls owned by Messe Berlin, the Green Week will actually set up a farm with live animals. This time around, the horse will supposedly be in the center of it all. Let’s hope this is not about horse lasagne. The whole thing, yes, the trade fair, will take place from January 18th to 27th, 2019. But the Green Week wouldn’t be the Green week if they had not organized a far out inauguration party at CityCube. Don’t worry, only 3600 guests were invited. Finland will make sure there are drinks, snacks and an appropriate entertainment program involving classical music, Jazz and more. Who could resist that? As you can imagine, all of this is only a small fraction of everything this trade fair in Berlin has to offer. And they do sell tickets. A regular day ticket is 15 Euro, the family ticket 31 Euro and the student ticket is 10 Euro. A lot more about the International Green Week Berlin can be found on their green website.